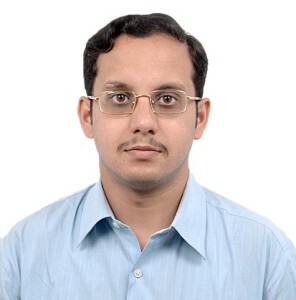 Dr. Abhjit Sarkar received his PhD from Indian Institute of Science Bangalore in 2009. He worked at Eaton Corporation (2009) & Tata Motors (2003) before joining IIT Madras. His research is in the broad area of acoustics, vibration. His focus is on mathematical formulation and analytical solution of problems in dynamics and acoustics. He has made significant research contributions on the understanding of the dispersion characteristics of structural acoustics waveguides, vortex-induced vibration characteristics, vibration of rotating structures, etc. He is engaged in industrial consultancy activities for leading industries and also conducting continuing education program for participants from industry and academia.